Explore the Payments Demo to see how easy it is to set up a custom checkout page using Elements and the PaymentIntents API. The demo illustrates how to accept both card payments and additional payment methods on the web. It also has examples of how to use Webhooks in a Stripe integration. 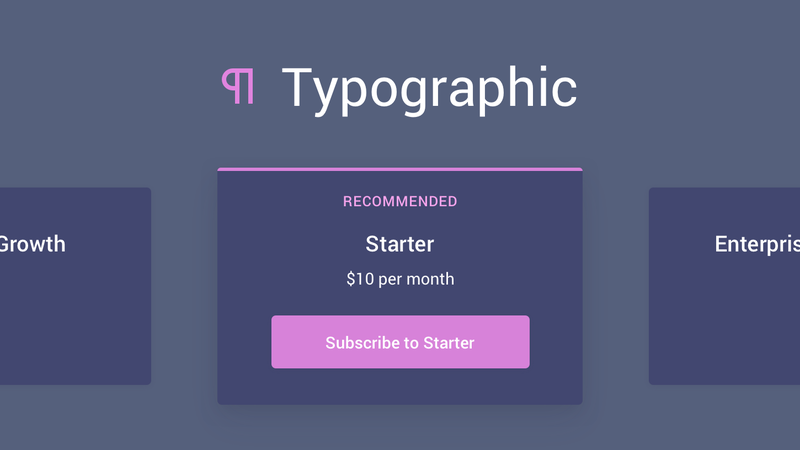 Typographic is an end-to-end example service built with Stripe Billing and Elements. Learn about best practices for subscribing users to multiple plans, using tiered pricing, tracking metered usage with our new Usage Records API, and providing customers the option to pay with our new hosted invoices. 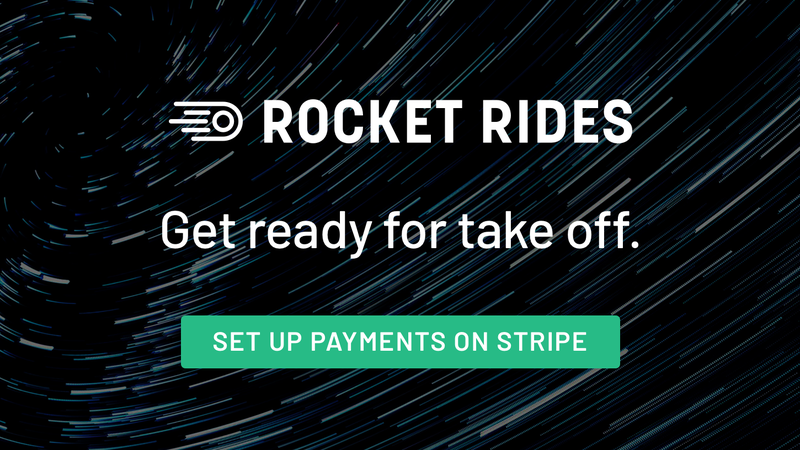 Rocket Rides is an example marketplace using Stripe Connect. The demo application shows how you to quickly onboard users to your platform and let them collect payments. It uses pre-built UI components to get up and running quickly while still enabling you to customize the user experience. Check out our OpenAPI spec for the latest updates to the Stripe API. Use our mock HTTP server to build tests suites that consume mock responses. Create the checkout page of your dreams with example forms built with Elements. Building a React app? 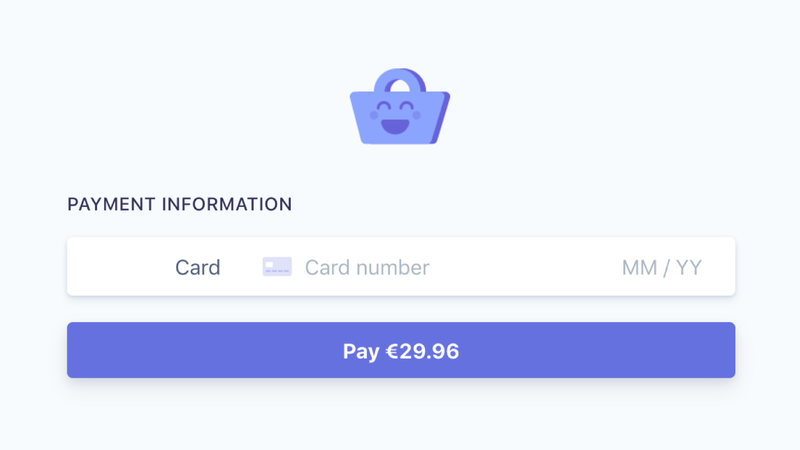 Use our React components to quickly build a checkout form. Our Webhook Monitor is a live feed and graph of your recent webhook events.